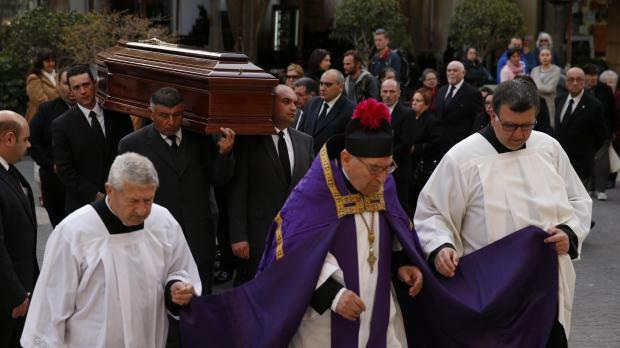 The coffin of Archbishop Guzeppi Mercieca was carried into St John's Co-Cathedral this afternoon at the start of services leading to his burial on Wednesday. The coffin was conveyed to Republic Street, corner with St John Street where the Cathedral Chapter formed a cortege leading to the Co-Cathedral. Also taking part were Archbishop Charles Scicluna and Archbishop Emeritus Paul Cremona. The bells tolled and a crowd watched silently as the plain coffin was carried into the Co-Cathedral and placed in the oratory, where the body will lie in state for three days. 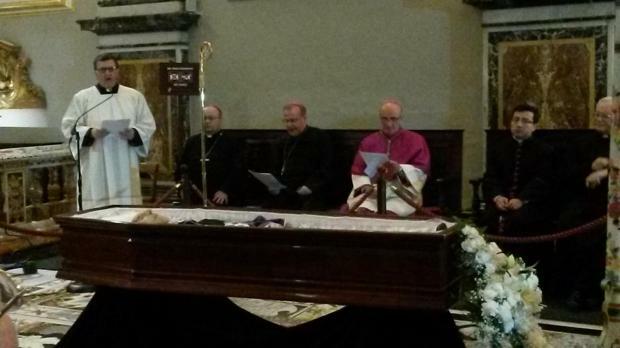 Mgr Mercieca, who led the church in Malta between 1976 and 2006, died this morning in a home in Zejtun. Several hundred people were already in the Co-Cathedral for a vigil as the coffin was carried in. The vigil is being led by Mgr Scicluna, who in comments to reporters said he prayed that the spirit of reconciliation which characterized Mgr Mercieca would continue to be strong in society. The body will lie in state until 8pm today, tomorrow between 9am and 8pm and on Wednesday between 9am and noon. The government has announced three days of national mourning, during which flags will fly at half mast. The funeral Mass starts at 4pm on Wednesday. 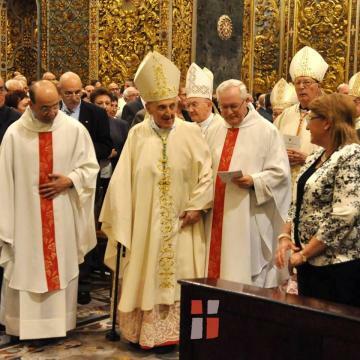 It will be led by Archbishop Scicluna. It will be followed by a cortege in Republic Street and a private burial ceremony at the Cathedral in Mdina. SER Mons Giuseppe Mercieca, Arcisqof Emeritu ta' Malta, mar jiltaqa'mal-Mulej illum 21 ta' Marzu 2016 fis-7:20am. Requiescat in pace. 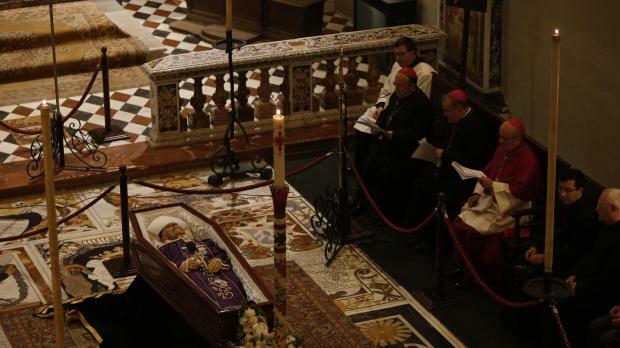 "We have lost a father of the whole people, a humble man with a big heart,” Mgr Scicluna said soon after the passing away was announced..
“He showed that reason does not need force, but love,” he added. Very sad to hear the news of the loss of Mons Guzeppi Mercieca, a standard bearer of the Church in Malta in difficult times. Rest in peace. A Gozitan who was virtually unknown before he was appointed auxiliary bishop in 1974 with the right to succeed the fiery Archbishop Gonzi, Mgr Mercieca is remembered as a humble priest who managed to restore stability in the Church after the bruising political dispute with the Labour Party in the Gonzi years. He threaded carefully when a new dispute erupted with the Labour government of the 1980s over Church schools and its property. He kept his characteristic calm when he was surrounded by angry mobs twice, in Vittoriosa and Paola, when a bomb was placed outside his residence in Mdina, and when the Curia was ransacked, ensuring to a large extent that the long-lasting divisions of the 1960s did not return. Fr Joe Borg, Mgr Mercieca’s delegate for social communication said one of the late archbishop’s main characteristics was that he always kept the welfare of the faithful in mind. He was prepared to suffer, and even risk being misinterpreted, as long as he did what he believed was best for the Church and its members. “He lived in difficult circumstances, given the situation between the Church and the State. His prudence was accompanied by firmness, but his prudence ensured that the situation did not blow up,” Fr Borg said. Former Prime Minister Alfred Sant said Mgr Mercieca was a cordial, cautious and correct person who chose prudence in the way of doing things. "I always appreciated the frankness with which he spoke to me even if he tried not to offend me in any way with his words and actions. "In 1997, before government announced a study about divorce and the family in Malta, I visited him personally and face to face explained our plans. He showed me that he wasn’t pleased. He recommended prudence but accepted that government had every right to legislate what was being recommended at that time, when on the social front, things were different from today. 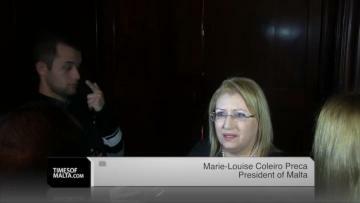 "I appreciated a lot his two visits at hospital when I was being operated at Mater Dei Hospital. 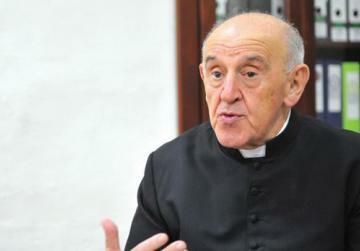 In his humility, Mgr Mercieca would, on more than one occasion, make private visits to patients at different hospitals." Prime Minister Joseph Muscat praised Mgr Mercieca for bringing the church closer to the people and being a bridge-builder in delicate times. 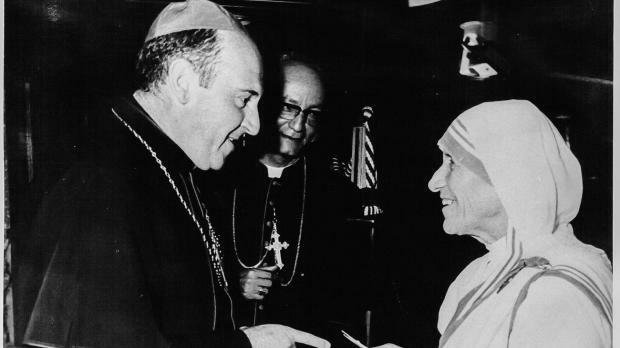 Mgr Mercieca was born in Victoria, Gozo on November 12, 1928. He was educated at the Gozo Seminary, and in Rome. He was ordained priest on March 8,1952. He was Rector of the Gozo Seminary from 1959 to 1969, till his appointment as Judge of the Sacred Roman Rota in 1969; he was also consultor to the Congregation for the Sacraments and to the Congregation for the Doctrine of Faith. 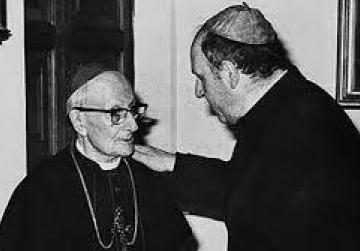 Mgr Mercieca (right) with Mgr Michael Gonzi. On July 27, 1974 he was appointed auxiliary bishop of Malta and ordained titular bishop of Gemelle in Numidia on September 29 of the same year. He succeeded Mgr Michael Gonzi as Archbishop of Malta on December 12, 1976; he was appointed Consultor of the Sacred Roman Rota in 1992 and later judge of the Segnatura Apostolica. 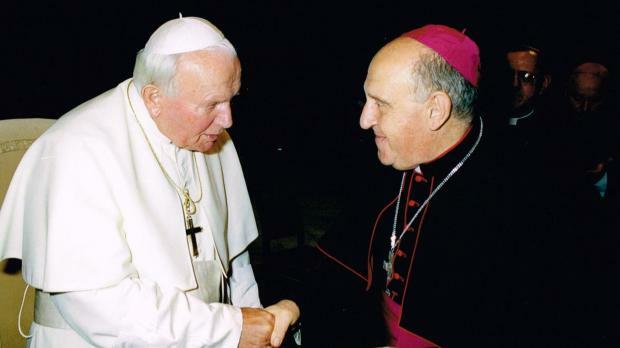 On November 11, 2003, he offered his resignation from Archbishop of Malta to Pope John Paul II, in accordance with the requirements of Canon Law regarding Diocesan Bishops who reach the age of 75 years. 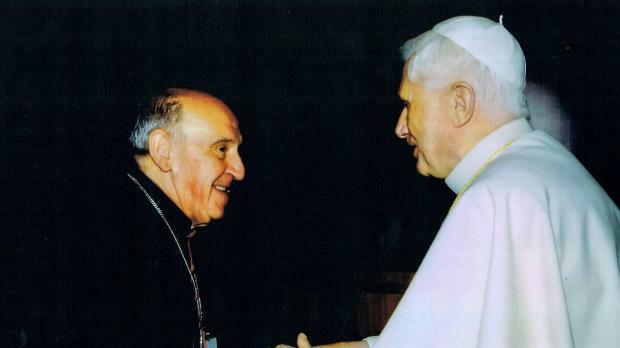 Mgr Mercieca retired on December 2, 2006, after the nomination of the new Archbishop, Paul Cremona O.P. Owing to failing health, he has not been seen in public for several months, even failing to attend the ceremony when Mgr Charles Scicluna became archbishop.